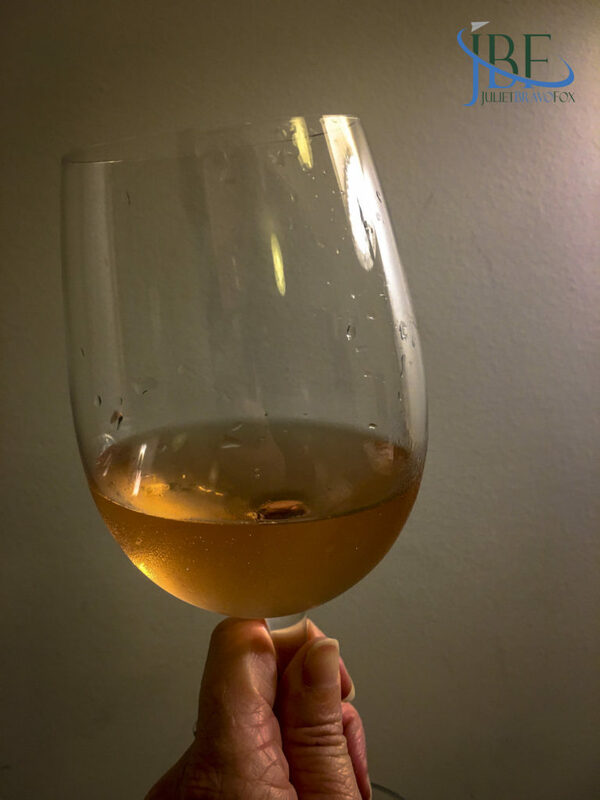 It’s not too early for rosé! In fact, we never really put it away, especially when it goes so well with a lot of the food we make at home and enjoy at restaurants. 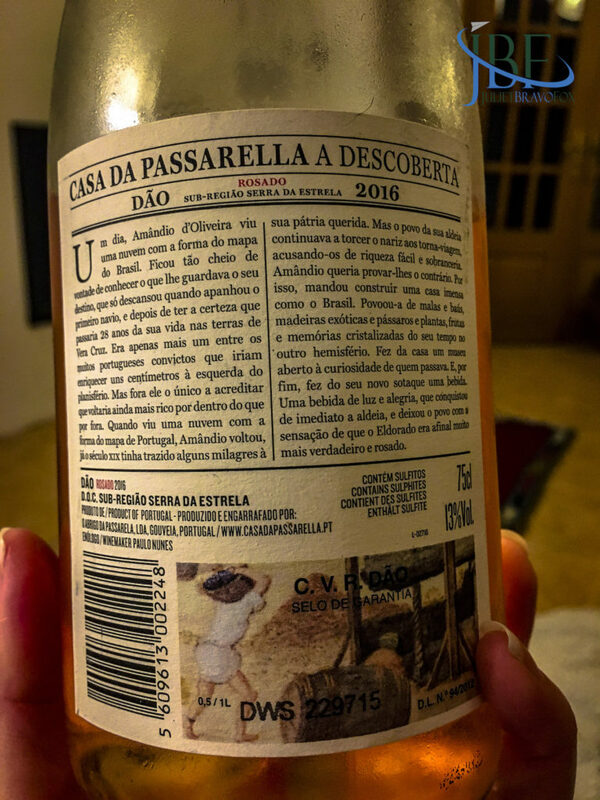 This week’s treat comes from the Dão DOC, specifically the Serra da Estrela region: Casa da Passarella’s 2016 A Descoberta, from Touriga Nacional and Tinta Roriz grapes, grown in the granite-laden soils of the mountainous part of the Dão. 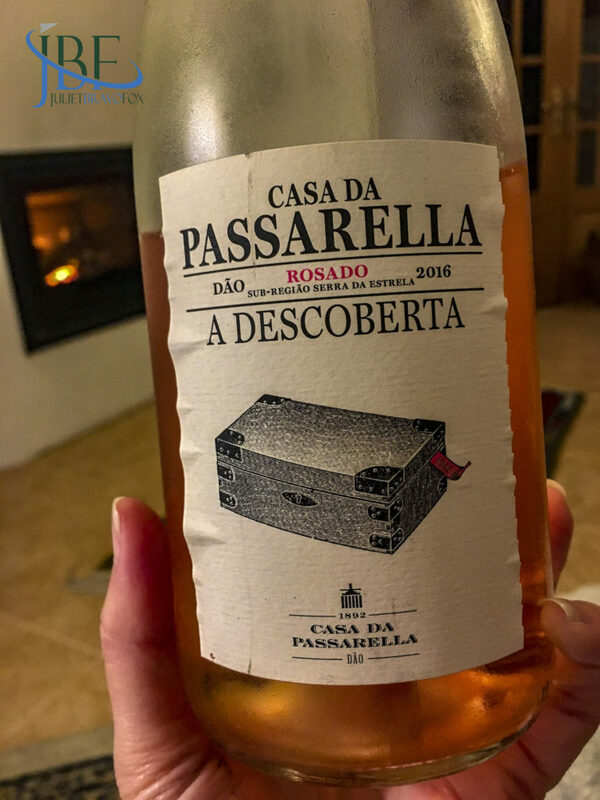 I found the rosé to echo its color, with roses and white cherries on the nose, opening to strawberries on the palate, with a refreshing mineral backbone. Winemaker Paulo Nunes can be proud, and we look forward to trying more from this series of “discovery” along with more of the casa’s wines. 13% abv. Last week, as I started to work up a pot of Midwestern US-style chili, I went to the rack to find a good solid tinto to go with it. I came up with the Monte da Ravasquiera Seleção do Ano 2017 Colheita that we’d scored from our quickly-becoming-favorite Covarin in Janas. Perfect. 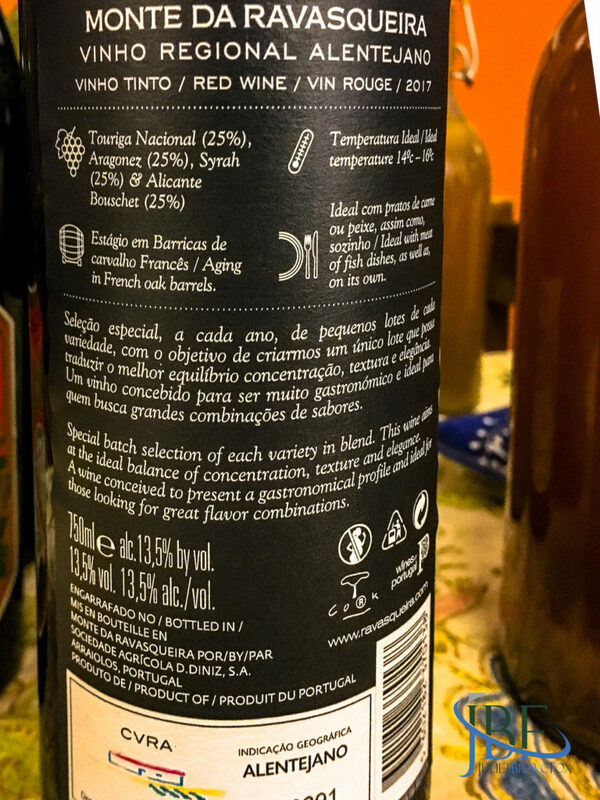 The wine comes from a blend of Touriga Nacional, Aragonez, Syrah, and Alicante Bouschet in equal parts, with 20% batch-staged in wood–to preserve the special character of the specific grapes selected for the project. The result smelled of dusty roadside flowers and roses, with a bit of spicy meat underneath. 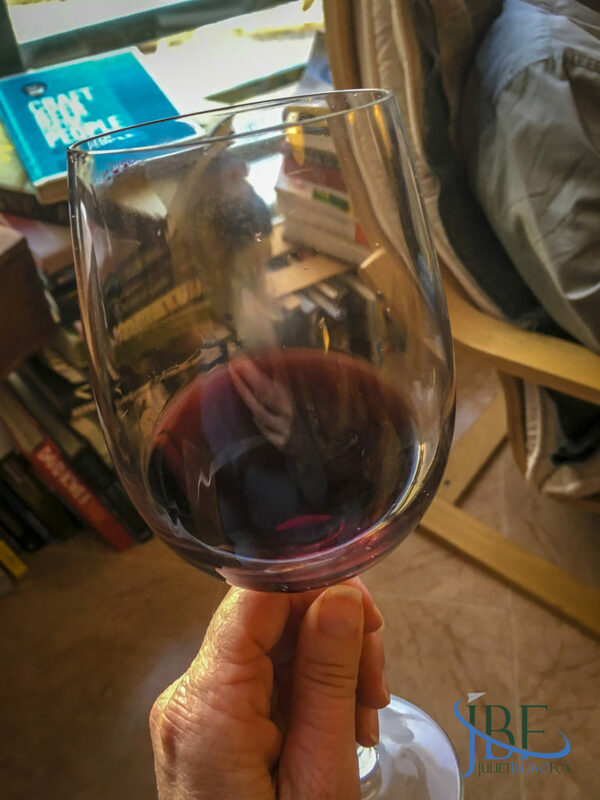 The moderate mouthfeel smoothed the tannins–this is not a fruit bomb but has a solid taste of blackberries running through it. A marvelous match for our spicy, tomato- and pepper-rich chili (with local red beans, of course). 13,5% abv. The image of the woman on the wine’s label drew me to pick it up at our local Covarin. 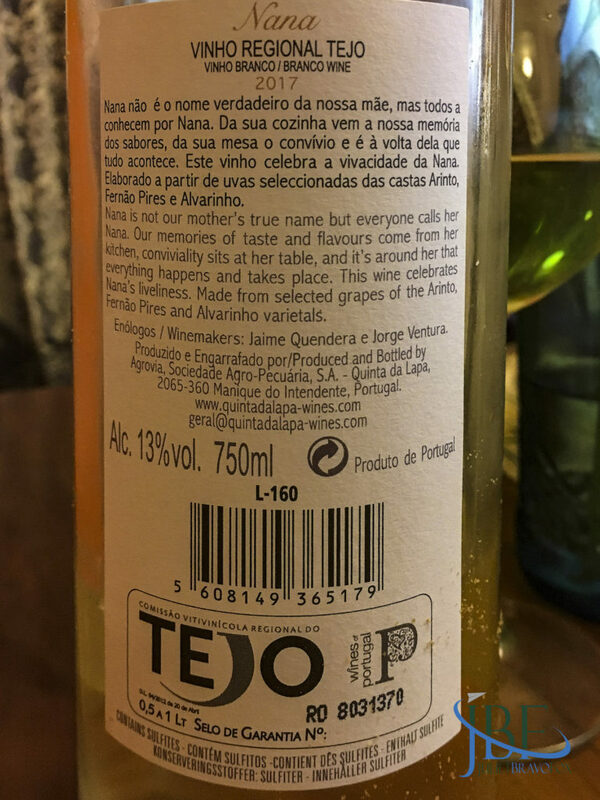 The white, Nana, from Quinta da Lapa in the Tejo viticultural region, featured my three favorite Portuguese grapes (and the most-planted in the country): Arinto, Fernao Pires, and Alvarinho. 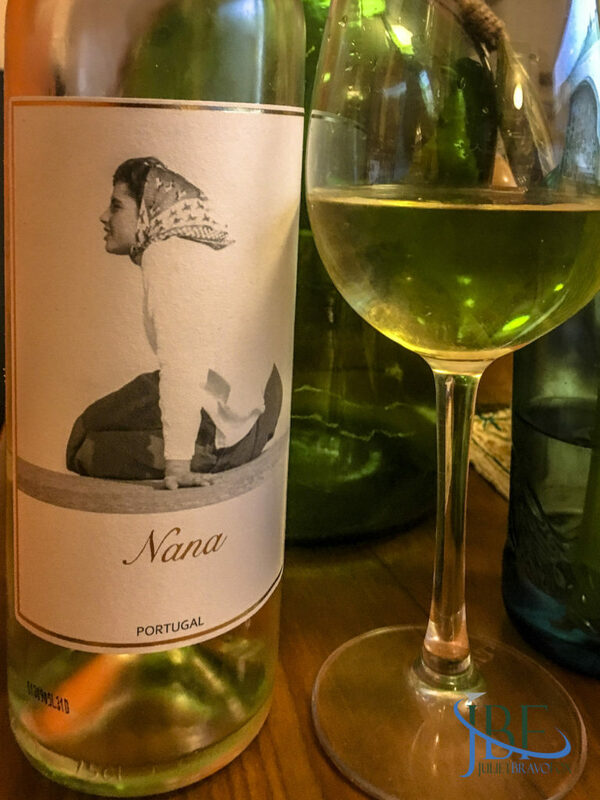 Turns out that it’s named after the “Nana” that Portuguese mothers so often become, warm and welcoming to their families and friends. The blend creates aromas of green herbs, almost a green garlic on buttered toast, moving into pineapple. On the palate, more fresh pineapple and baking spices, with a clear and moderate acidity. We enjoyed it with pan-fried pork-and-chive dumplings for Lunar New Year, which played off the herbal notes in the wine. 13% abv. When friends brought us a bottle of tinto from the Dão for a party last weekend, we gladly popped it open to have with Stephen’s birthday fruitcake (with marzipan, of course). The rich grapes in a standard DOC Dão blend marry well with the dried figs and dates (and almond notes) in the cake–and act as a balance to the sweetness of the frosting. 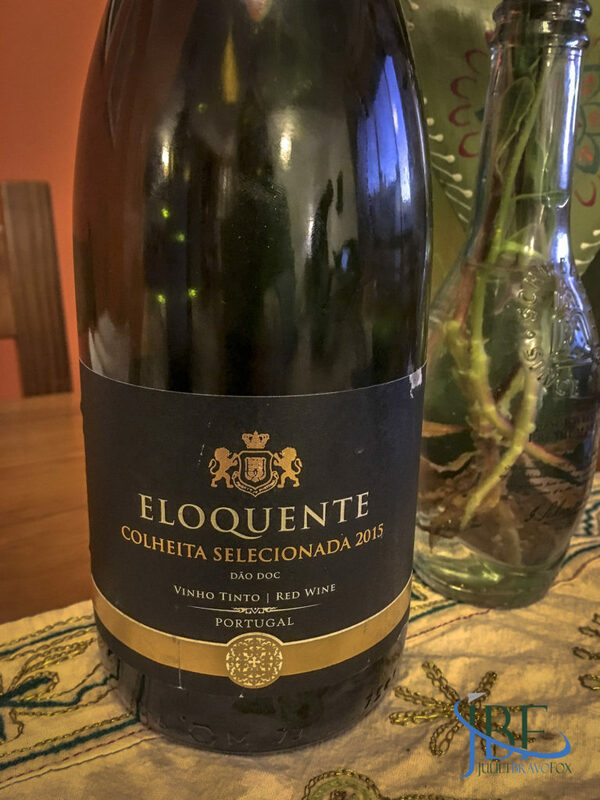 The wine in question, the Eloquente Colheita 2015, from the União das Adegas Cooperativas do Dão, gives off aromas of rose, nutmeg, and red fruits, and tasted to me like spiced cranberries on the palate. 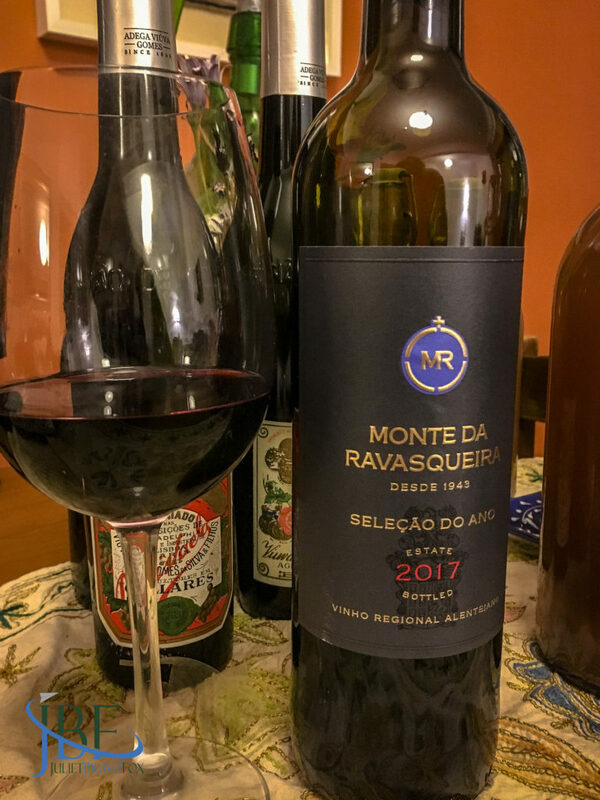 With medium weight and tannins, it shows an elegance belying its price, but not the recent gold medal it received at the Concursos Melhores Vinhos do Dão Engarrafados 2018 last summer. So it’s a great bottle to have for an everyday red–and a special event too.